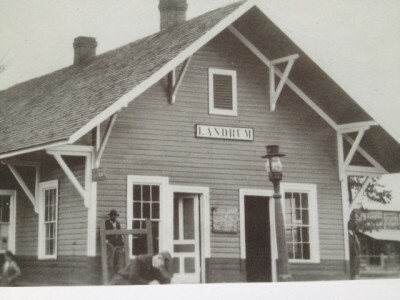 The City of Landrum was founded in 1880 and incorporated 1883. Located just west of Interstate 26 between Spartanburg, South Carolina and Asheville, North Carolina, the City of Landrum is nestled against the backdrop of the stunning Blue Ridge Mountains. 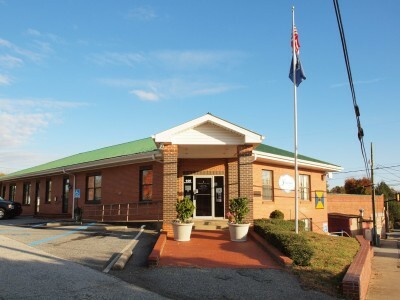 Residents and visitors alike enjoy drives along scenic roads, strolling through unique antique and specialty shops, and dining in Landrum‘s quaint eateries. 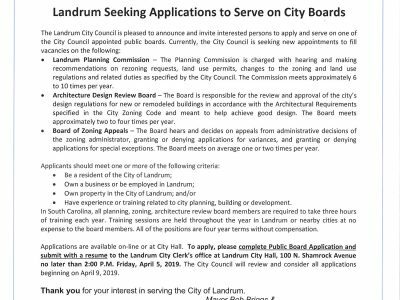 Landrum also provides an ideal climate for business, as evidenced by booming retail sales and a work force of over 175,000 within twenty miles of the City. Helpful information regarding the Business Association, community services, medical services, legal services and utilities services.